Dental bridges are long-lasting, aesthetically pleasing, and less invasive than implants. They are also un-removable meaning you don’t have to worry about taking them out every time you eat. 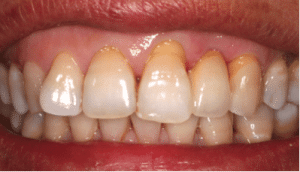 Like crowns, bridges are aesthetically pleasing and closely resemble natural teeth. They are less invasive than implants. They require a relatively fast procedure for such an enormous result. They are un-removable so you don’t have to worry about taking it every time you eat like you would with a plate. 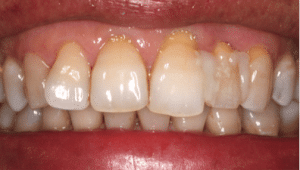 Your neighbouring teeth will be prepared by filing away enamel to enable a crown to be fitted. An impression will be made so the custom bridge, pontiac and crowns can be made. A temporary bridge will be fitted to protect the area. Our expert team will check that the bridge is a perfect fit and see if any adjustments need to be made. Depending on the fit, we may temporarily cement the bridge into place and ask you to come back in a couple of weeks to check on the fit. A perfect fit is absolutely necessary to ensure that your bite isn’t affected, which will lead to further dental issues down the track.